912 W. Division St, Normal, Illinois. 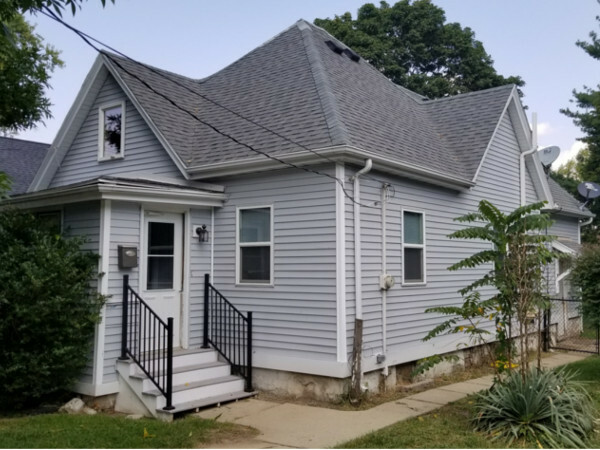 This home is within walking distance to Illinois Wesleyan University, very close to Bromen Hospital and is located between downtown Bloomington and Illinois State University's Campus. It is close to the Bloomington public transit system's bus lines and is a short drive to anywhere in Bloomington/Normal. It features 2 bedrooms, a good sized living room, eat in kitchen, bathroom with tub/shower, storage in the basement, off street parking, one car garage, large back yard, central heat/air and upstairs laundry. Rent is $900 per month.